Those who have ever practiced yoga are undoubtedly familiar with its many benefits, both physical and emotional. A full-body meditation, yoga keeps practitioners in the present moment by focusing on breath work and postures, which in turn brings about a great sense of inner peace, as well as a strong, healthy body. Children also benefit a great deal from a regular yoga practice, and many kids with special needs respond amazingly well to both the physical exercise and focus that yoga can bring. Prafull Oorja, run by two American women living in India, is making an enormous difference in the lives of countless children with special needs. 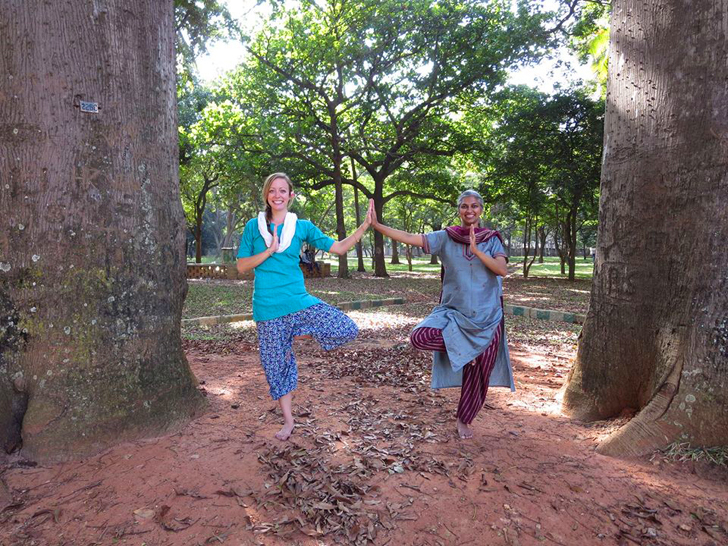 Madeleine Sears and Sowmya Ayyar have spent several years studying and fine-tuning yoga for kids with all manner of disabilities, including fusing therapeutic facets like music, dance, and art into the practice to keep the children interested and engaged. The Prafull Oorja team works with children who have cerebral palsy, autism, arthritis, and a wide range of other physical and mental health issues, helping them develop a stronger mind-body connection, as well as focus and calm. 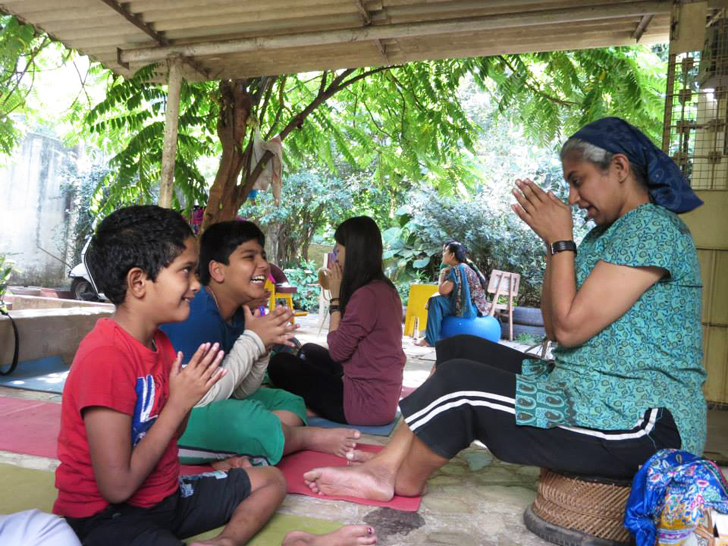 They organize bi-weekly yoga classes for youngsters at the Tamahar Trust for Children with Special Needs in Bangalore, and teach children’s bi-weekly yoga classes at the Bubbles Centre for Autism as well. One of the quotes on the initiative’s website really stands out: “Yoga can serve every body, mind, and spirit of the world.” Madeleine and Sowmya’s team adapt yoga poses to suit each child’s capability, and use holistic, integrative techniques to connect with children as individuals.” In addition to their current yoga classes, they have plans to expand their services to include music and art therapy, and they’ll also be offering traveling yoga workshops in order to spread awareness of yoga as service, and train people how to teach yoga to populations in need. One of the locations they’ll be traveling to is Jos, Nigeria, where they’ve been invited to teach at schools and the New Era Foundation to help alleviate issues of ethnic conflict. Currently, Prafull Oorja has 15 teachers, and they’re training even more so they can expand their services to the greater community. The nonprofit group is also looking for teachers who have experience with yoga, music, dance, and art: teachers who are interested in serving communities in need and learning how to work with those who may benefit the most from their guidance and care.